New findings suggest that some exoplanets will have stable axial tilts and climates, much as Earth does. 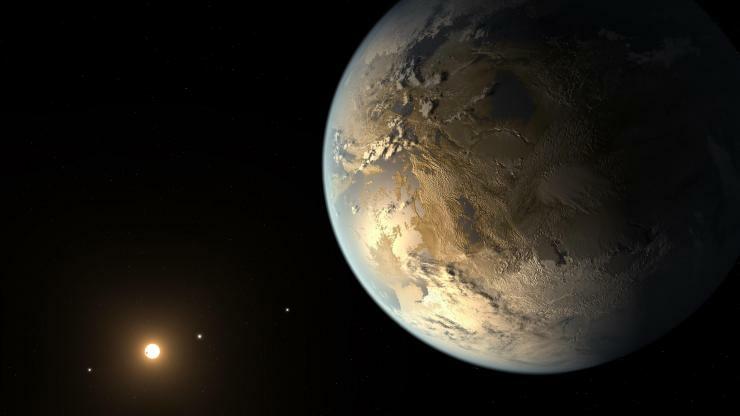 This knowledge will help astronomers search for worlds similar to ours – the long-sought Earth 2.0. Artist’s concept of Kepler-186f, the 1st of 2 studied planets now thought to have seasons and a stable climate. Image via NASA Ames/JPL-Caltech/T. Pyle. We sometimes hear the term Earth-like in describing exoplanets that might be similar to our own world. The terms Earth-like or Earth analog conjure up visions of alien oceans and continents, teeming with life. But how similar to Earth might such distant worlds really be? 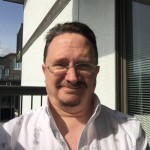 We still don’t know the answer to that question yet, but a new research study – announced by the Georgia Institute of Technology on June 28, 2018 – shows that there might indeed be some alien worlds that are quite similar to Earth in terms of their seasons and stable climates. 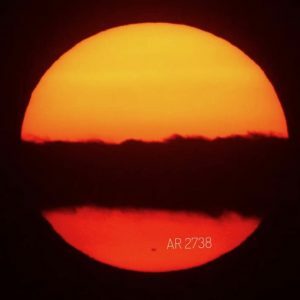 The research team, led by Georgia Tech astronomer Gongjie Li and graduate student Yutong Shan from the Harvard-Smithsonian Center for Astrophysics, used computer simulations to determine the axial tilt of each planet. 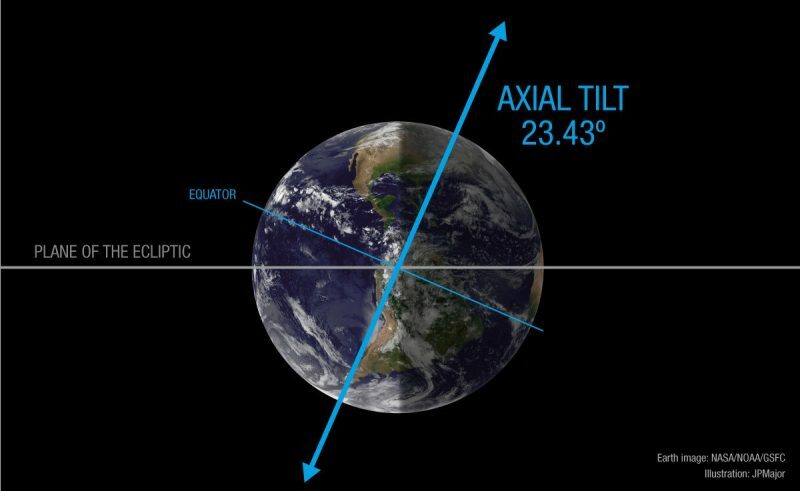 The results indicated that the axial tilts of both planets are stable, like Earth’s, meaning that the planets would experience regular seasons and stable climates. That is good news in terms of how habitable the planets may be, although there are other factors to account for also of course, such as water, composition, type of atmosphere, etc. 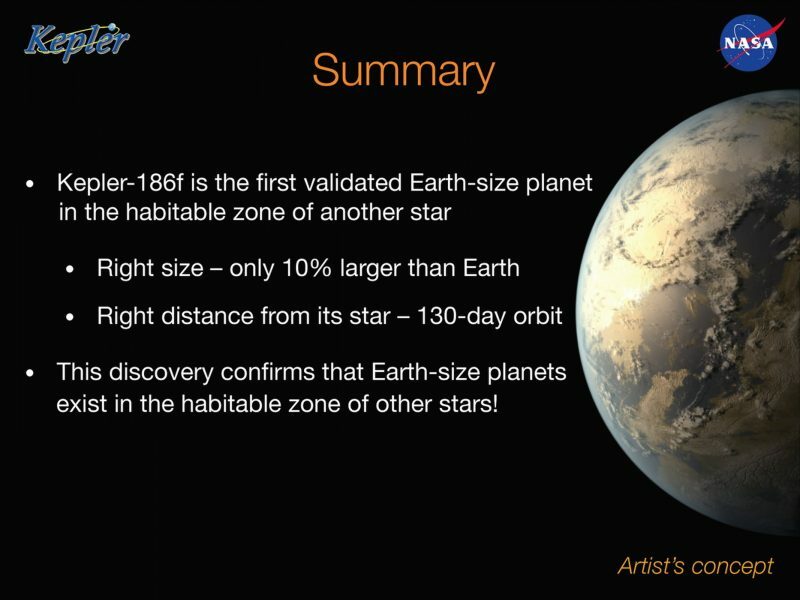 Kepler-186f was the 1st Earth-sized exoplanet to be discovered in the habitable zone of another star. Image via NASA. 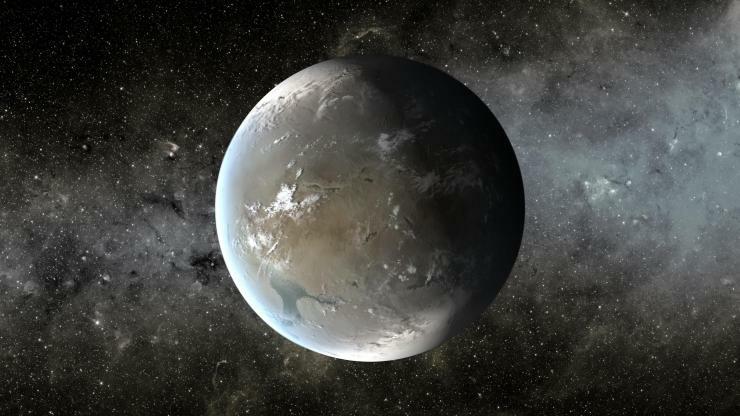 Artist’s concept of Kepler-62f, the 2nd planet found to have seasons and a stable climate. Image via NASA Ames/JPL-Caltech/T. Pyle. Planets with highly variable axial tilts, like Mars, are less likely to have such stable environments. Mars’ axial tilt has been very unstable, swinging from zero to 60 degrees over billions of years, and is thought to be a key reason why Mars lost most of its water and turned into the cold, dry desert world we see today. Mars is in the habitable zone in our solar system, but its axial tilt has been very unstable – varying from zero to 60 degrees. That instability probably contributed to the decay of the Martian atmosphere and the evaporation of surface water. It appears that both exoplanets are very different from Mars and the Earth because they have a weaker connection with their sibling planets. We don’t know whether they possess moons, but our calculations show that even without satellites, the spin axes of Kepler-186f and 62f would have remained constant over tens of millions of years. 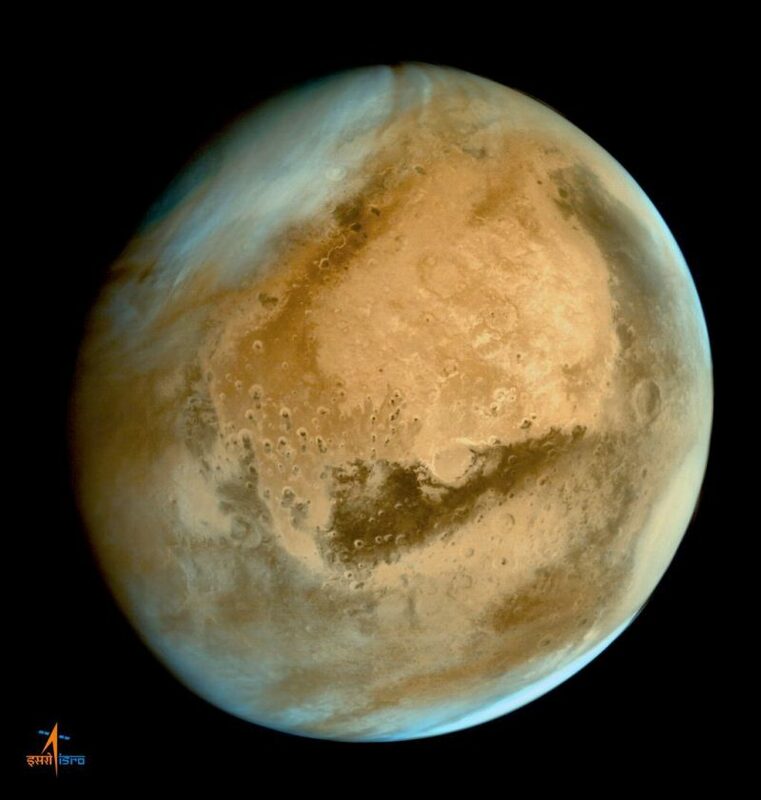 View of Mars from the Mars Orbiter Mission (India). Mars’ wild axial changes prevented it from having a long-term stable climate. Image via ISRO. Our study is among the first to investigate climate stability of exoplanets and adds to the growing understanding of these potentially habitable nearby worlds. I don’t think we understand enough about the origin of life to rule out the possibility of their presence on planets with irregular seasons. Even on Earth, life is remarkably diverse and has shown incredible resilience in extraordinarily hostile environments. But a climatically stable planet might be a more comfortable place to start. 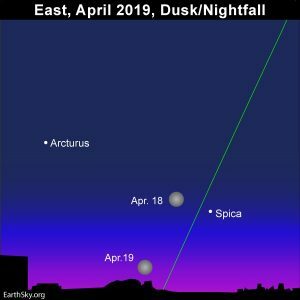 Earth’s axial tilt has remained quite stable, thanks largely to the presence of our large moon. Our stable, habitable climate has enabled life to thrive. Image via NASA/NOAA/GSFC/Jason Major. A growing number of Earth-sized and super-Earth exoplanets have been discovered, including in the habitable zones of their stars, although it is too early to call any of them Earth-like yet specifically. This new research shows how some should have axial tilts and climates ideal for life to exist. Bottom line: Finding other Earth-like planets is the holy grail of exoplanet research. The new findings showing stable axial tilts and likely stable climates on Kepler-186f and Kepler-62f are a big step in that direction. There is still much more work to be done, but scientists are now getting closer to discovering a world that is similar to ours – not only habitable, but perhaps, even teeming with life.